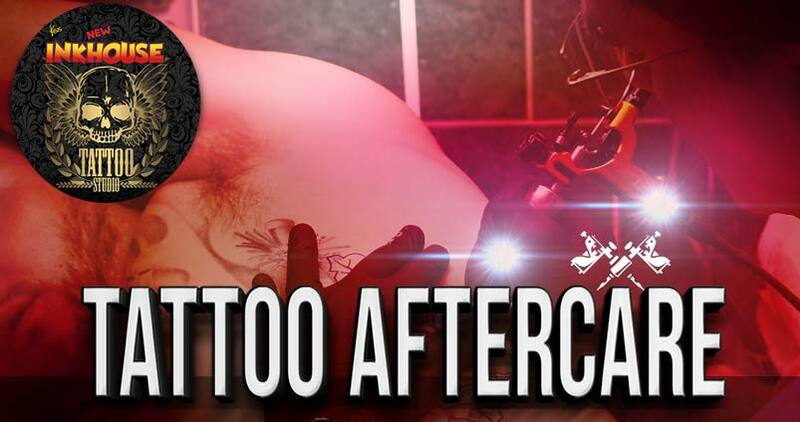 Aberdeen Tattoo Aftercare, look after your new ink! Take Care of your New Ink! Correct aftercare procedures ensure that the tattooed area of skin remains infection free in an environment that is perfectly set up to ensure that healing proceeds to happen as quickly and efficiently as possible. For any Questions about aftercare please feel free to contact us. 1) Keep the clingfilm cover on for atleast 3 hours. 3) Remove the clingfilm and wash the tattoo gently with soapy water rinse well at pat dry. 4) Apply a light film of cream then wipe lightly with a damp paper towel to remove excess. 5) Allow your tattoo to breath. Do not cover, no tight clothing. 6) Before bed, re applying cling film. No need to re wash or cream. Just cover with clingfilm. 7) In the morning remove the clingfilm and repeath steps 2-5. 8) Avoid contamination with chemicals, dust, oil or direct sunlight.